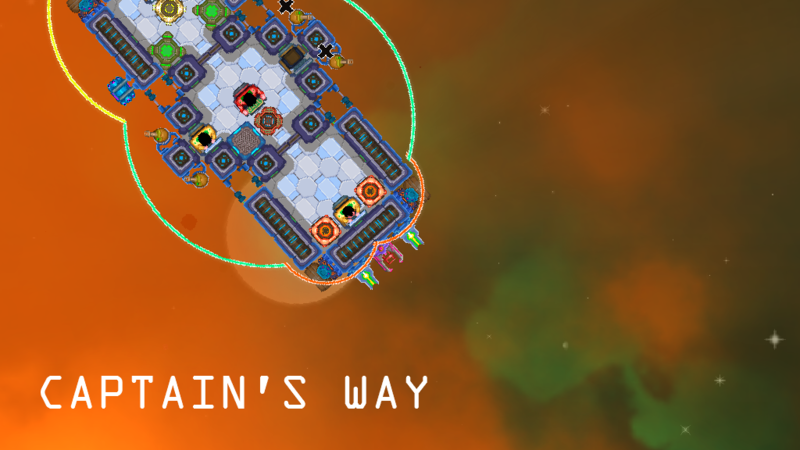 Captain's Way is currently in ALPHA. The game is halfway through a graphics overhaul. Expect bugs and limited options. The game does not yet feature a tutorial. 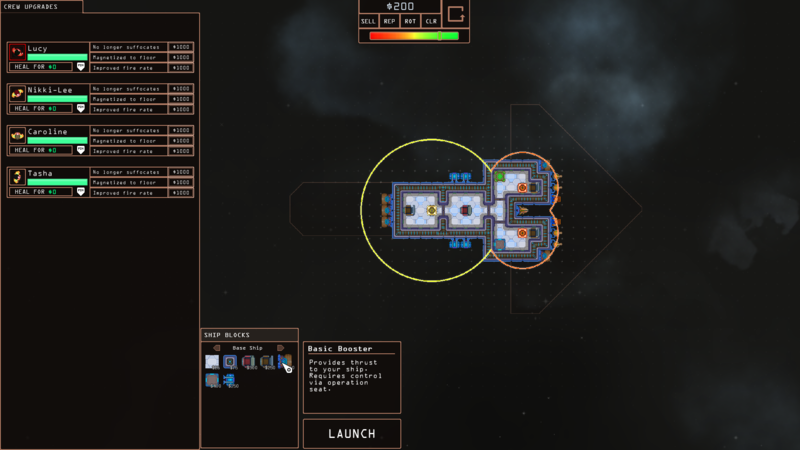 Captain's Way is a mix of hard hitting real time ship-to-ship combat and tactical crew management with an emphasis on player-driven, emergent situations and stories. The player takes control of a spaceship captain charged with smuggling a crew out of a war-torn star system filled with corrupt alien factions and other deadly lifeforms. Modular, physics based ship to ship combat: Every booster, floor and wall tile of your ship can be blown off, altering how your ship flies and shoots. Having a wall blown apart can result in dire consequences for your crew. 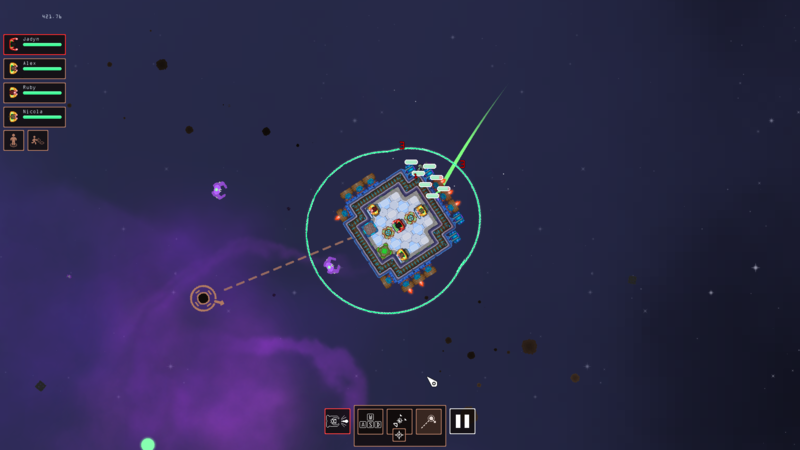 Build your ship: Design, upgrade and repair your ship as you journey through the stars in order to deal with more elite enemies and larger fleets. Command your crew: Direct your crew to repel boarders, man stations, seal breaches, disarm bombs and avoid hazards. 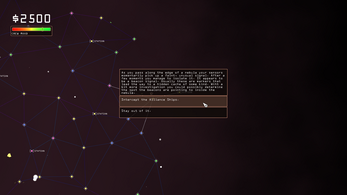 Randomly generated environments: Environments are generated differently each play-through, resulting in vastly different battles and situations. 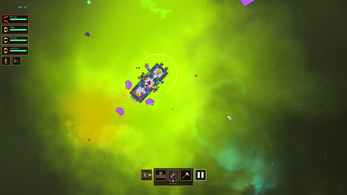 Permadeath: Your captain dies and the game is over. Protect them with everything you have! Sorry for the rough start! Sorry if this has been asked before, but do you have any plans to add a windows version? Game crashed real quick but I had a ten minutes of fun with the game. 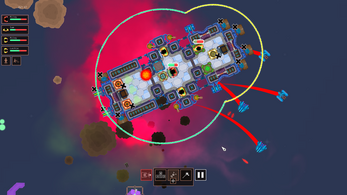 You know.. this probably has nothing to do with the game, but it would be really cool if enemy ships were made with modules like your own ship, and you could aim where to shoot being able to scavenge ships for parts once the enemy crew is killed. Looking into this as a way to see what you've built out of your GM:S asset. Was the download link taken down? Whoops, by accident yes. It should be back up now! Thanks! When you load a ship do the horizontal lines appear literally every time you load the ship builder from the starmap? Or is it just when you select templates? What operating system are you running on? The bug with the nebula event should be an easy fix, I'll deal with that now! So.. 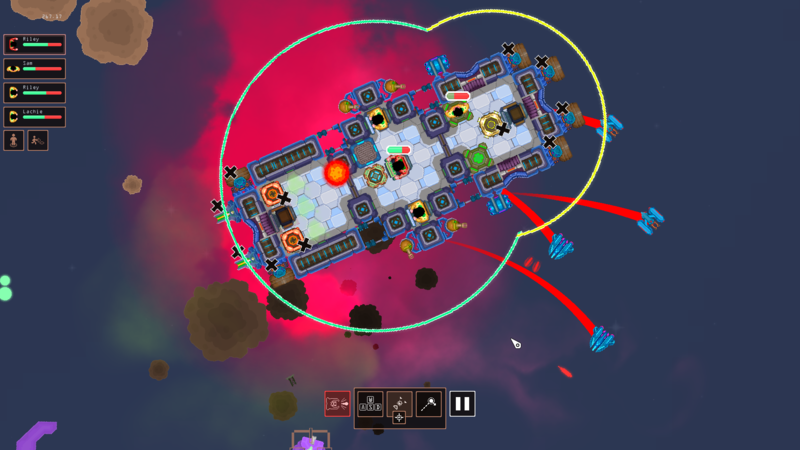 I kept getting boarders stuck outside of my walls, and breaking inside my ship so i had the bright idea of putting floors with interior turrets and that worked until one of the boarders destroyed my turret then decided to sit at that floor outside my ship.. (This made the combat never end and had to restart the game and start from scratch). 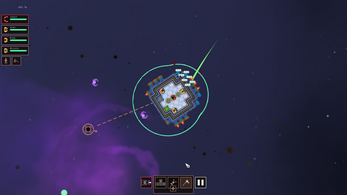 Also, the game crashes when you use the move and rotate ship clicker thing. You're amazing at breaking games. The boarder problem seems easy to fix, I'll just make them target walls in situations like that so they eventually break through. As for the rotate part tool crash, that's another bug I've never encountered myself. Does the crash occur when you click the arrows? Or click the part itself? Is there any error messages? Good job, the game works now. Gonna try it out. 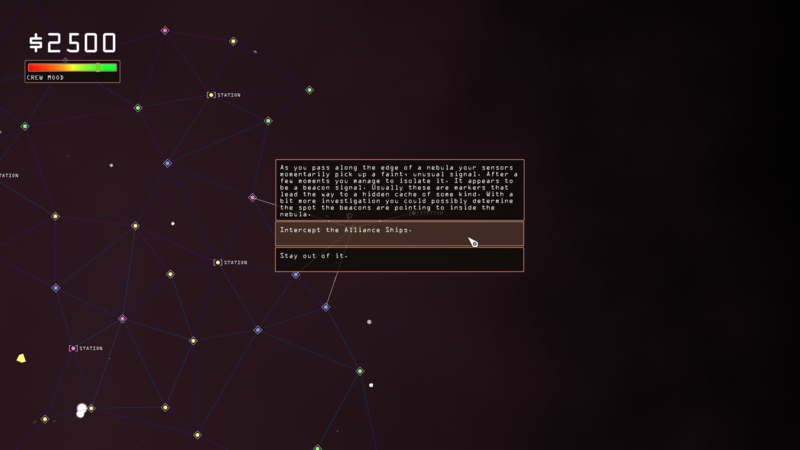 New version, new error when generating starmap. global variable name 'grid' index (100570) not set before reading it. Hey again, I've made a few more tweaks and I've recompiled with Game Maker Studio 2 instead of GMS 1.4. My reasoning is that I haven't ever actually gotten any of the error messages you've been getting myself despite play testing extensively so compiling it differently may build the game into an executable that should work as well for as you as it does for me - with no error messages. Hope this works better! Do you think it can be fixed today? For sure, sorry about this! The odd thing is I'm having none of these bugs and crashes that other players are having, so I haven't had to fix them. I'll be more thorough in my play testing before I release the next build, which should be in a few hours. Hey eNt, are you sure the game wasn't paused? You can press space or the pause button to toggle pausing on and off. Then you just need somebody on the pilot seat, and the seats with engines connected to them to move your ship around. Thanks for giving this a shot!